UK Industries Training offers a range of construction training including CSCS, PASMA and IPAF. UK Industries Training is a leading provider of specialist training to the construction industry and beyond. We specialise in courses for the Construction Industry, Commercial Drivers and to those Working at Height. From our dedicated training facility in Nottingham we work with businesses and individuals across the UK. Our courses are flexible, allowing for varying numbers of attendees. We can deliver our training either from our own centre or on site at your location. We pride ourselves on delivering high-quality courses provided by experienced and engaging trainers. We are endorsed by professional bodies such as IPAF, PASMA and RTITB and offer a broad range of training covering many industries. Our Nottingham based IPAF training centre provides comprehensive Powered Access Training that covers all areas of work on order for you to achieve safe and legal qualifications for MEWP operation. Industry Standard tower and working at height training from our Nottingham PASMA training centre to all of the UK. Our courses are Health and Safety approved and are a legal requirement for workers in this area. Combined CSCS and CITB H&S allows you to get your card in just one day with us. Without a CSCS card, you cannot undertake any work on construction sites. 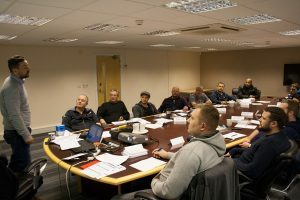 A five-day Site Management Safety Training Scheme providing project managers, site managers and supervisors with the knowledge and skills to ensure healthy and safe conditions are met. If you work in construction, the hire industries or any sector where commercial driving or working at height is required then we have courses to keep you both safe and legal. Our Health and Safety courses are delivered by experts in their fields. Attendees will find them interesting and engaging and will finish their training ready to apply their newly learned skills in their daily working life. We are based in Nottingham, in the heart of the UK and benefit from superb transport links to many major cities in the Midlands and beyond including Derby, Leicester, Birmingham, Coventry and Sheffield. From our dedicated training centre, we offer a wide range of courses and have the facility to accommodate both individuals on open courses or larger groups on more tailored training schedules. We realise that many companies, although recognising the importance of training, struggle to release staff members due to business demands. To solve this problem, we also offer on-site training at our customer locations for many of our courses. For more details please complete our enquiry form or call our team for assistance. We are a specialist provider of primarily health and safety training. Our courses can be of benefit to people working in numerous sectors with the main focus being on Construction, Commercial Driving, Working at Height and the Hire Industries. We are endorsed by numerous professional bodies such as IPAF, PASMA and RTITB and therefore offer recognised certification to attendees completing our training. Some of our most popular training courses are outlined below. For a full list of what we offer please click on the training courses tab in the main menu. 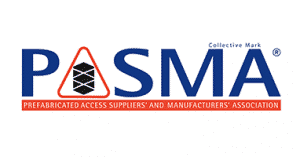 PASMA Training: PASMA is the lead trade association for the mobile access tower industry. The PASMA Training scheme operates to the highest practice standards and is the benchmark scheme for the industry. IPAF Training: IPAF Mobile Elevator Work Platform (MEWP) training is the most established access programme. IPAF training is an essential element of Health and Safety training and is a legal requirement for any individual working at height. SMSTS Courses: The Site Management Safety Training Scheme (SMSTS) was created to provide consistent and regularly updated training for site managers and potential site managers. Our SMSTS courses cover a wide range of areas including health, safety, welfare and environmental issues. Forklift Training Courses: RTITB recognised training covering 1, 3 and 5 day courses catering for everyone from Novices to Experienced operators. Training can be completed at our Nottingham centre or on site at our customers location.